We offer complimentary valet for your convenience. Scaramouche may be rented for private functions. However, we do not have private rooms. Scaramouche has long been celebrated by customers and critics for its unwavering commitment to making each dining experience a memorable one. Chef/owner Keith Froggett's sophisticated cuisine is presented simply with care and attention to detail. The service underscores that philosophy: unobtrusive and respectful. The restaurant affords a stunning nighttime vista of the downtown Toronto skyline. These components and more make Scaramouche the singular destination it is. And the reason that the restaurant is consistently ranked as one of the city's best for more than three decades. It was my wife's birthday and the whole experience was outstanding. The view of the city skyline was stunning and I highly recommend this fabulous restaurant. The only suggestion I have is that it would be nice to have a 'small cake with a candle' to celebrate birthdays. Though the Happy Birthday around the dessert plate was nice. This is a very noisy restaurant! We were there for a special occasion (our anniversary). When we asked to be re-seated in a quieter location, the Maitre D complied graciously, but the new table was not much better. The waiter was pleasant at first, but when asked if the duck was tender and great, he went off on a defence of the restaurant's 39 years in business , and 'look at all the people here'. As it turned out, the duck was tough and we sent it back! 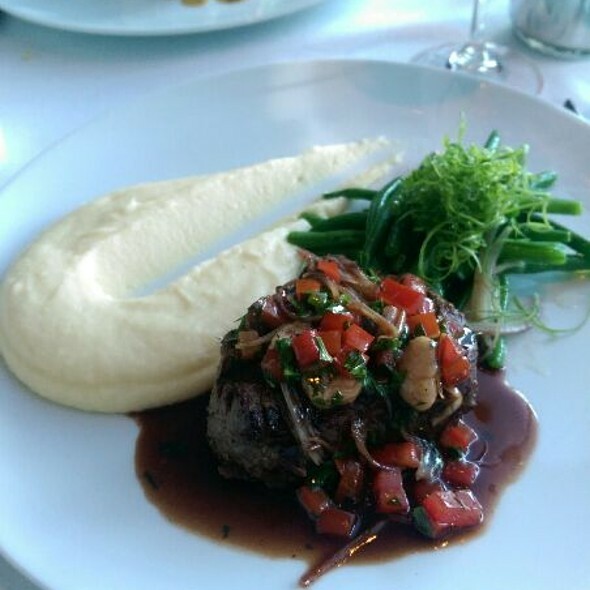 I had a filet mignon, and it was good - but not exceptional (for the price). Notwithstanding the apologies from our waiter (for the duck) he appeared insincere. The best part of the meal was the bread and the parmesan frits. The attitude is 'snotty'. I would never recommend Scaramouche! - Especially with so many great restaurants in the area that would be happy to try and please you without the attitude. 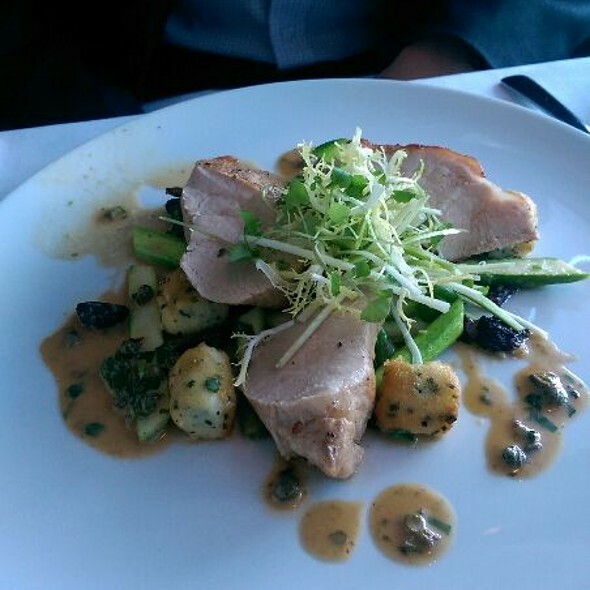 Top level food, excellent service, beautiful view of the city from a hill overlooking the skyline. Hands down the best dining experience I’ve ever had. Wife and I celebrated our anniversary. Food was phenomenal. Sommelier was friendly, knowledgeable and on point. Even the valet brought our car without prompting as we walked out of the exit door. Strongly recommend to anyone looking for a night to remember. Stunning restaurant with knowledgeable servers and delicious food. A must go! I took my wife there last night for her birthday. The location is a bit odd on the ground floor of an older condo building, but with complimentary valet parking and the spectacular city view, it works. We found the service to be quite inconsistent. The waiter was friendly enough, but we experienced large gaps waiting for everything (including our wine order when we arrived). The food was also quite inconsistent. Some parts of the meal were excellent, but I also experienced a bland, almost tasteless celeriac soup that certainly could have used some salt and pepper, but alas, there was no waiter to be found. The most disappointing by far was my pork main course. The pork was both very smoky (which I like) but also somehow bland at the same time. Worse yet, it was filled with tough fat and gristle. I have no problem with fatty pork as long as it's tender, but this was far from it. Again I was disappointed in the service as nobody (waiter, manager, etc.) came by to ask us if we were enjoying our meal. They only only time that we were asked for feedback was on our way out the door. I started to say something, but decided to stop so as not to cast a bigger shadow on my wife's birthday. We can tick this restaurant off our list, but won't be returning. Scaramouche was such a delightful surprise. The location caught me off guard since it’s tucked away at the end of a cul de sac. From the outside, you would not expect the restaurant to have such a spectacular view of the city. If you want a romantic evening, I suggest booking a table by the window. The ambience is perfect. It’s quiet so you can have great conversations and it’s not too crowded. The service is exceptional. The staff are friendly, courteous, and knowledgeable. And the food is fantastic. It’s not an extensive menu but it has just the right amount of options to cater to your tastes and preferences. If you have allergies, it’s nice to be able to order a dish that does not need to be modified so you can enjoy it how the chef intended. I highly recommend Scaramouche and will definitely be back again. Still one of the best restaurants in the City. The Cod with Lobster Risotto was just wonderful as well as the Special, the European Sea Bass. Hot House Rhubarb as dessert is another reason to come back. Service is just outstanding. Over all we always had a much better experience at this restaurant. Lovely service -- superb wine list -- delicious food. Hope to be back soon! After saying we would go, for years, we finally went. It was our 12th anniversary and going to Scaramouche was the perfect way to spend it. We started with cocktails, which were both delicious. 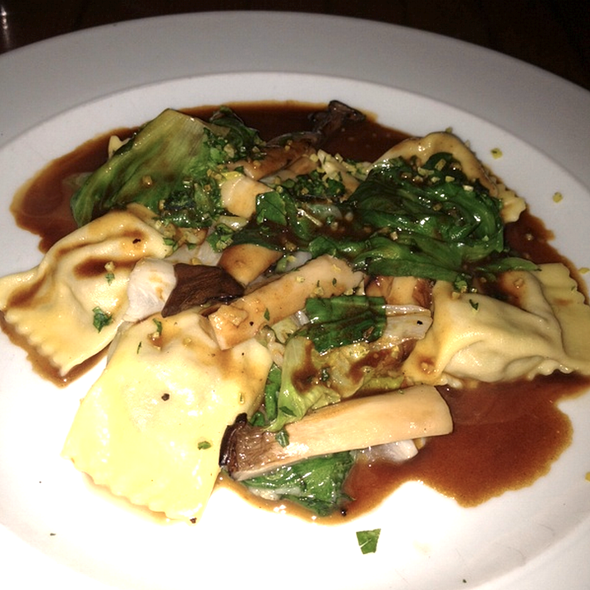 I had the foie gras and the venison and my husband had the pea ravioli and duck. All 4 dishes were outstanding. Of course I had to try the coconut cream pie. And as full as I was, I'm glad I did. The service was unobtrusive which I am always grateful for. We had a window table, and when the sun was setting it was spectacular. 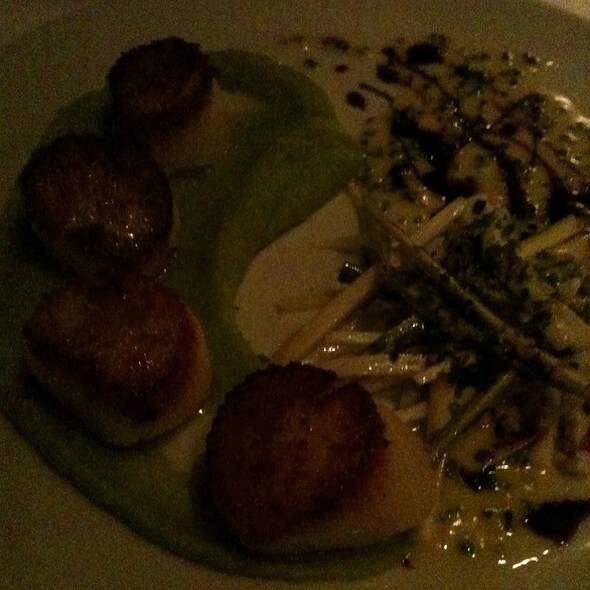 The service was great, the food was excellent, the ambiance was perfect. I have nothing bad to say about this restaurant and I plan on going back. Once I got past the rather pointless salty smoked salmon amuse bouche, which they seem to love here, everything was wonderful. The cauliflower pasta appetizer was sensational. The venison (a menu staple) was excellent. They manage to find the right mix of beets, greens, barley/oats and mushrooms to accompany the dish. They skate close to the edge of over-salting the extras, yet everything works well. 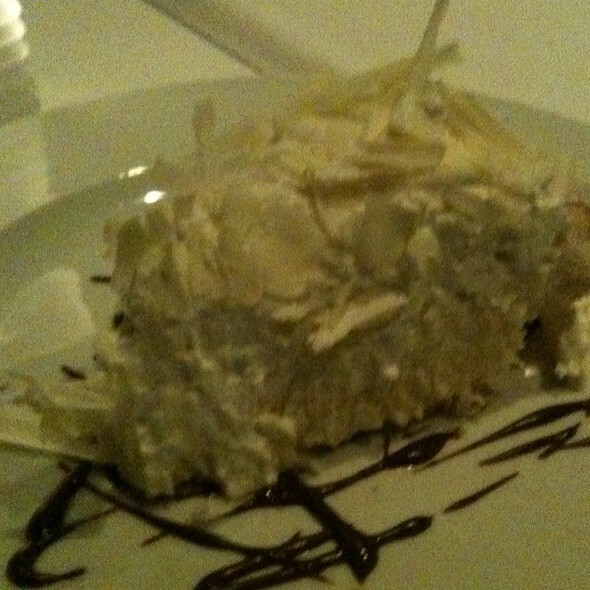 For dessert I could not resist the traditional coconut pie, yet their milk chocolate bar dessert is also delectable. Service is excellent. Whether it is Andrew, Alex or others, the service is top-notch. Always appreciate the great service and skyline views. 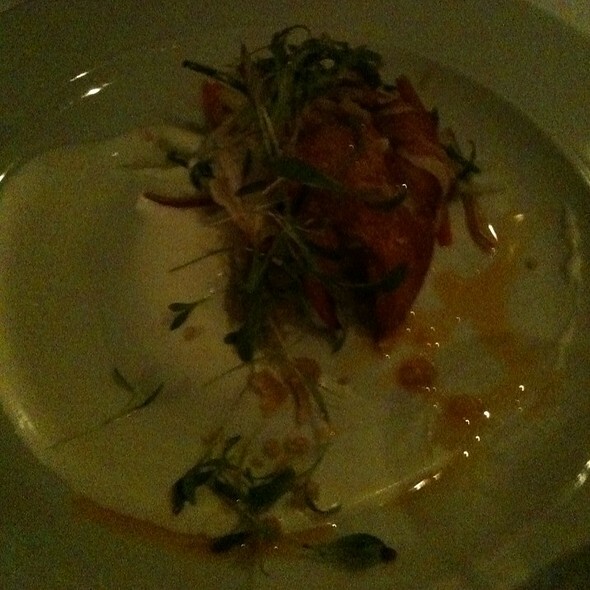 Favourite place in Toronto, though I hope they will someday cut out the smoked salmon amuse bouche entirely. Wonderful as always -- great to go on a Tuesday when there are fewer people about at 6PM. Great experience! Was seated by the window (as requested) so had an great view of the city at night! Food was perfectly prepared. On the list of favourites. Everything was fine until I tipped waitress 17% and rounded up. She was clearly/visibly disappointed, abruptly saying in low, terse tone "thank you" ( no eye contact, no good night, just quickly spin around and left). My guests noticed this dying she was rude. I was like 'what the ?!' Did i do something wrong?! Why she upset? No where on the website or menu does it indicate the expected tip rate.... she didn't go above/beyond so 17% is good. I never expected her be smiley or be cheerful (she was neither). She was good. Food and service was fine. Unfortunately the ambiance was not as nice due to a couple rudely making out in front of everybody throughout the entire meal. Place is great. Food is superb and service takes care of you as needed. great views, great food, great service. the wine list had a lot of choices and we had a great time. not too loud where you can hear each other talk. a good place for romantic dinners (request table by the window). Magnifique vue sur le centre-ville illuminé. Excellent repas, cuissons des viandes parfaites, saveurs subtiles, originalité des textures... nous nous sommes régalés ! Right away from walking through the front doors - to leaving through them once again - the staff at Scaramouche provided great service and attention to myself and my significant other. The service was attentive, quick, and without fault. The recommendations for the venison and the lamb were perfect as I don’t think I’ve had any meat so quite eloquently prepared and delicious as that venison. I still think of it at this very moment 3 days later. Great atmosphere - and an equally impressive view of the city. I only rated a 4/5 for price due to my belief that the appetizers may be slightly overpriced but I am blind to where the ingredients are sourced from. Amazing experience. Will come again. Great job! 1. Parking is a complimentary valet service. 2. Coat check is complimentary too. 3. We went at 5 30pm so we were able to get a good table for 2 by the window. 4. Service is impeccable. If you have notes written while making your online reservation, they make a note of it throughout your meal. 5. We were started off with a house amuse bouche, which was amusing (#FriendsReference). Had a glass of red wine and their Garden Tulip. 6. Ordered the Roquefort and Beet salads which were amazing. 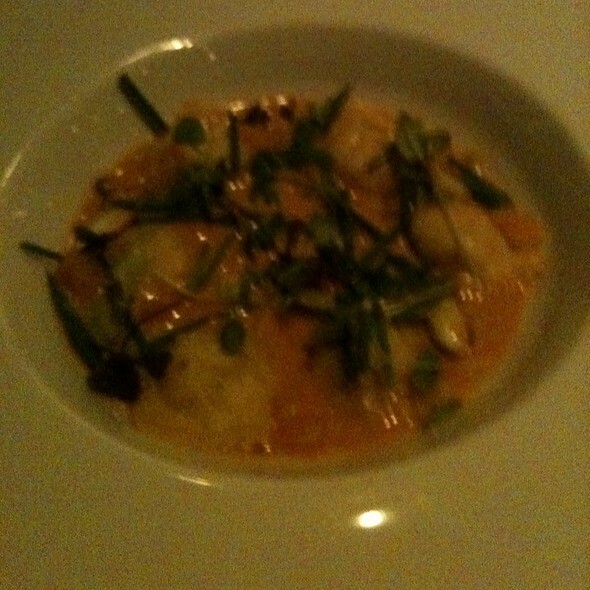 Followed them with the Cauliflower Ravioli and Beluga Lentils. 7. Finished our meal with their famous Coconut Pie and the Hot House Rhubarb (which was sensational). Scaramouche is deserving of every accolade. Their service is on point and you will want to easily spend a couple of hours. We are vegetarian and we loved their dishes which were familiar and unique. A great restaurant to celebrate a special occasion. Food, not bad overall. But restaurant is nothing special. Service is mediocre. Its rare that you find a place you can actually get DRESSED up and go out for an adult evening in Toronto without feeling out of place. I loved that everyone was dressed, everyone was on their best behavior. It has a fantastic view of the city, the restaurant had a classy, modern vibe. It felt like an episode of Frasier. A few decor things could use some updating. The apps we had 1 was outstanding the other ok. Mains both were amazing!!! Both fitting of the restaurants reputation. I suggest taking the waiters advice. Desert was the same as the apps. The service was one of the best I've ever had. So attentive, emphatic, eager to please and professional I loved everything about it. Wonderful food and great service. Excellent service combined with a great view of the city. Have dined here dozens of times and have never been disappointed by the menu as the chefs deliver exactly what is promised and more. One very small disappointment is the decor. Definitely time for an update. It was a first visit after years of hearing about the place. It's an odd entry - into something that looks like an apartment building, then you go down stairs - but it turns out to be a lovely view of downtown. 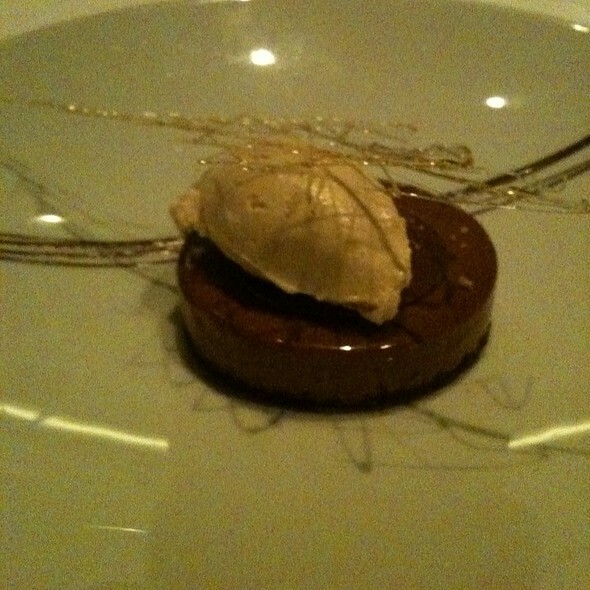 The restaurant was great - exactly what you would expect for an expensive dining experience. Sublime is a word I don't use often, but I'll use it now!